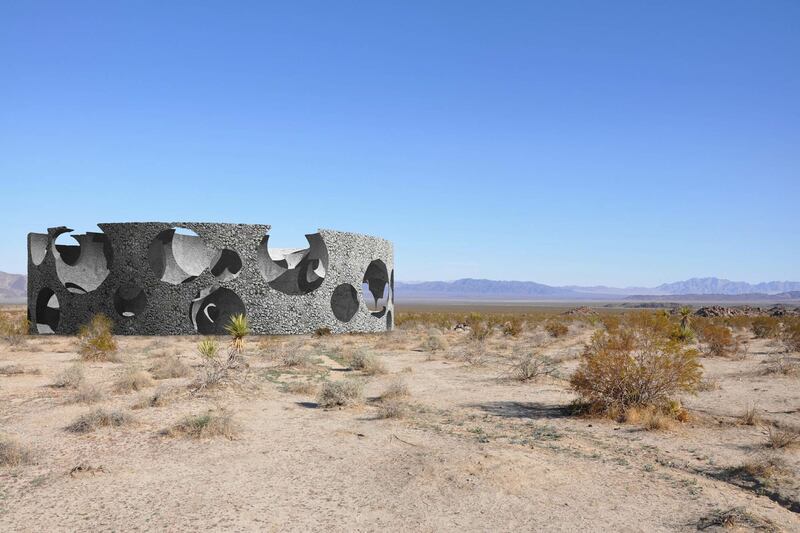 Heliosphere is a project for an inhabitable concrete sculpture on an open property in the Mojave Desert close to the city of Joshua Tree in Southern California. The circular shape is the result of a low tech and low-cost formwork. Spherical spaces inside the structure allow temporary occupation. Heliosphere is the term for the region of space, encompassing the solar system, in which the solar wind has a significant influence. 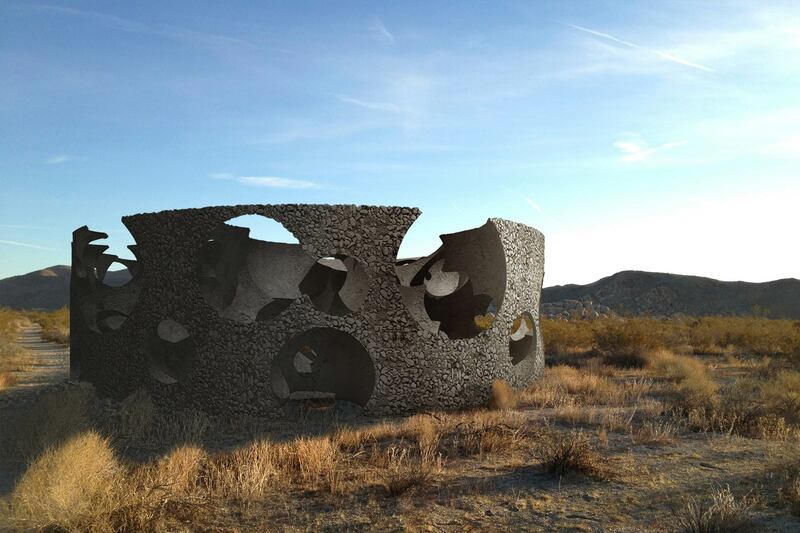 The concrete structure provides an unusual and alternative shelter. The associative title encourages its use for typical desert related leisure activities, ranging from music performances, campfire gatherings and star gazing.